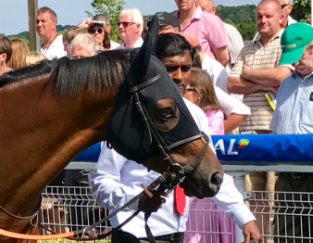 Those who assumed Desert Encounter was merely making iup the numbers in the 2017 Coral-Eclipse had to think again when the consistent five-year-old gelding kept on well from the rear to finish third behind Ulysses and Barney Roy. Sent off at 50-1, he finished ahead of Cliffs Of Moher and Eminent, who had both gone close in the Investec Derby. It earned his connections £53,800. Desert Encounter was unable to match that effort when a distant sixth to Enable in the QIPCO-sponsored King George VI and Queen Elizabeth Stakes at Ascot, or when a well-beaten fifth behind Cracksman in the QIPCO Champions Stakes at Ascot in October. In between, he pounced late to win a Group 3 contest at Newbury. Desert Encounter won the Grade 1 Pattison Canadian International Stakes in 2018 and has already been in action in 2019, running twice at Meydan.